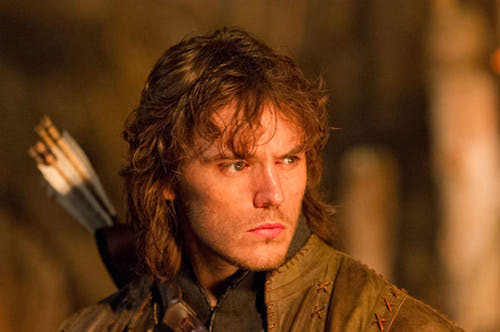 Let’s look at the symbolism of the male characters in Snow White and the Huntsman. Snow White’s father, King Magnus, symbolizes the fully developed rational mind tempered by love (his wife, Queen Eleanor) and invigorated by the goodness and purity of life, Snow White. His heart and vitality, however, are still separate from him. So, even though he is master of his kingdom (the physical world) he is spiritually undeveloped, which is to say that he has yet to integrate these aspects of himself into his personality. This is why he becomes easy prey to Ravenna, who symbolizes vanity and the fear of death, because he has lost his connection to his heart and is thus prone to self-deception. King Magnus also shows us what happens when our rational mind first encounters its dark side – the shadow army lurking just outside the borders of the kingdom. He only appears to conquer the threat, which is the way we feel when, by suppressing our dark thoughts and desires, they seem to go away. But Ravenna beguiles him with her physical beauty, and his loneliness and feelings of powerlessness in the face of an impermanent world makes lust seem like the only “reasonable” alternative to true love. And we all know what happens next – the unnamed, dark adversaries within manifest themselves in our outer circumstances, and a real army rides through our gates and destroys our world. 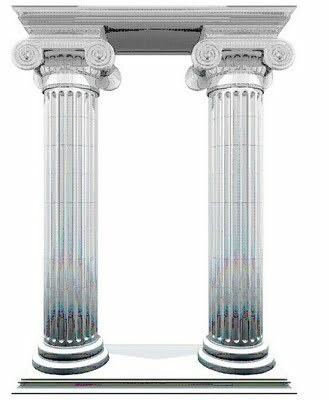 In the language of myth and symbol, male figures represent the conscious mind, while female figures represent the subconscious mind. Older characters, like King Magnus and Queen Eleanor, represent these aspects of ourselves that are well-established in our personality. Younger characters, like Snow White and her cousin William, represent the undeveloped spiritual side of us – the next generation. They are the part that has yet to fully emerge and that must go through tests and trials before it can become fully conscious and integrated. In Christian mythology, the baby Jesus has to be hidden and protected from the ruthless skepticism of the full-blown rationality and powerlust of King Herod. This shows how the tender blossomings of spiritual awareness are vulnerable to our sense-based logic and our tenacious ego that will not cede its control over our life energies. King Magnus’ brother (and father to William), Duke Hammond, is the protective aspect of mind in its fully developed state. 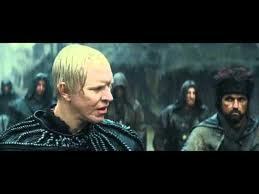 But though he is able to hold things together under the oppressive rule of Queen Ravenna, that’s all he can do. It takes William, who is willing to risk everything in order to save Snow White, to justify all that protecting. William is the younger character and therefore the spiritual aspect of mind finding its place in the world. William is more spiritually developed than his father, because his heart is more fully integrated in the form of courage. Ravenna’s brother, Finn, personifies what happens to the male aspect when it is totally disconnected from life. Both he and his sister have blonde hair in contrast to Snow White’s “raven black” hair. Black hair symbolizes vitality. The absence or opposite of it, in this case, symbolizes the semblance of life, which is how we appear when we are driven by self-preservation. We lose our life (vitality) when we are obsessed with keeping it. As Finn illustrates, the mind, when obsessed in this way, becomes outwardly obsequious to power, but cruel in the extreme when in service to vanity, which is the love aspect turned inward on itself. At last we come to the Huntsman. He is the will, the protector and provider of our heart aspect when allied with it, but unruly and self-destructive when disconnected from his feelings. All of the characters in this story illustrate what happens when our sensitive and innocent inner nature collides with the harsh, seemingly cruel realities of physical existence in the world. Life, which knows nothing of death, reacts when it sees it. It caused Siddhartha to abandon the world to search for enlightenment. 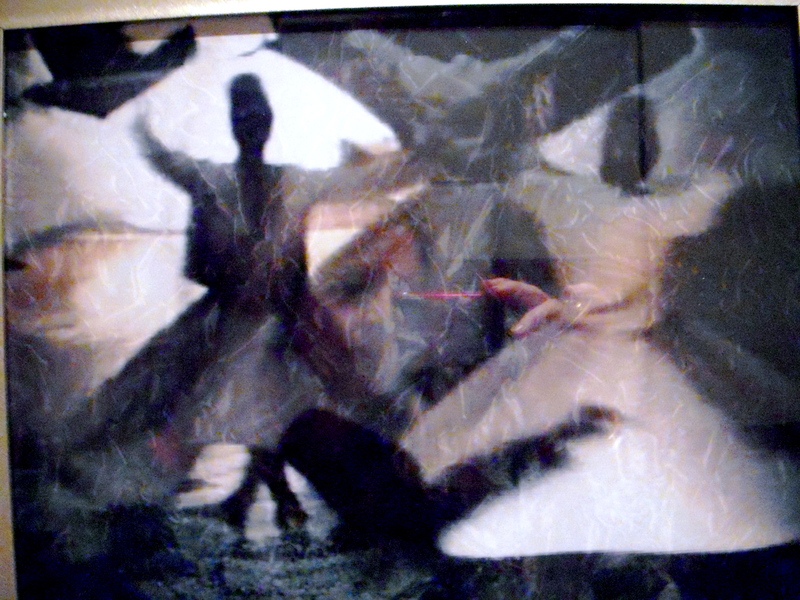 But the Huntsman takes out his disillusionment on himself. Drunk, brawling, wallowing in the mud of negativity, his life is without direction until Ravenna orders him to find Snow White. We can say here that there is only one will – the will of God. It is the voltage that potentializes every living thing – “the force that through the green fuse drives the flower.” Once he realizes that Snow White is life itself, nothing can stop him from returning her to her rightful place in the kingdom. When she is lost in the depths of the Dark Forest (the unconscious) it is he who leads her out into self-awareness. When she succumbs to the wiles of her false self (Ravenna), it is the will that jumpstarts her heart with a kiss. When we are overcome by the rigors of spiritual awakening, it is our will power that saves us. When nothing feels right and all of our rationale fails to justify the trials and tribulations inherent to the spiritual path, it is our sheer determination that sees us through. We do it because we said we would do it. We certainly don’t do it because it feels good, because it doesn’t. And we certainly don’t do it because it makes sense in the world. When the chips are down, we keep going because we gave our word. 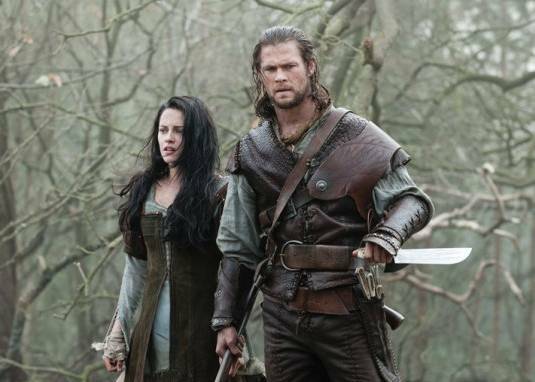 For Part 1 of this article, see Snow White and the Huntsman—a mystical review.